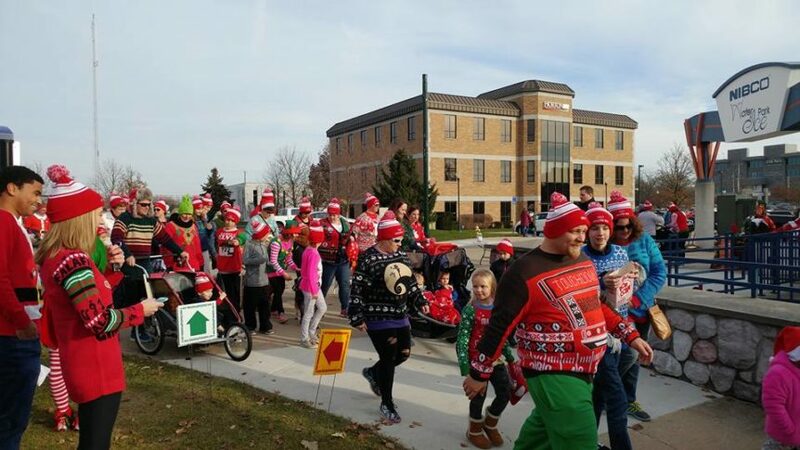 Elkhart, IN—Grab your ugliest holiday sweater and lace up those running shoes for Michiana’s tackiest event, the Elkhart Education Foundation‘s 4th annual Ugly Sweater Run, presented by NIBCO and held in coordination with Elkhart’s WinterFest. The event will be emceed by ABC 57’s Vahid Sadrzadeh and Emily Kennedy. 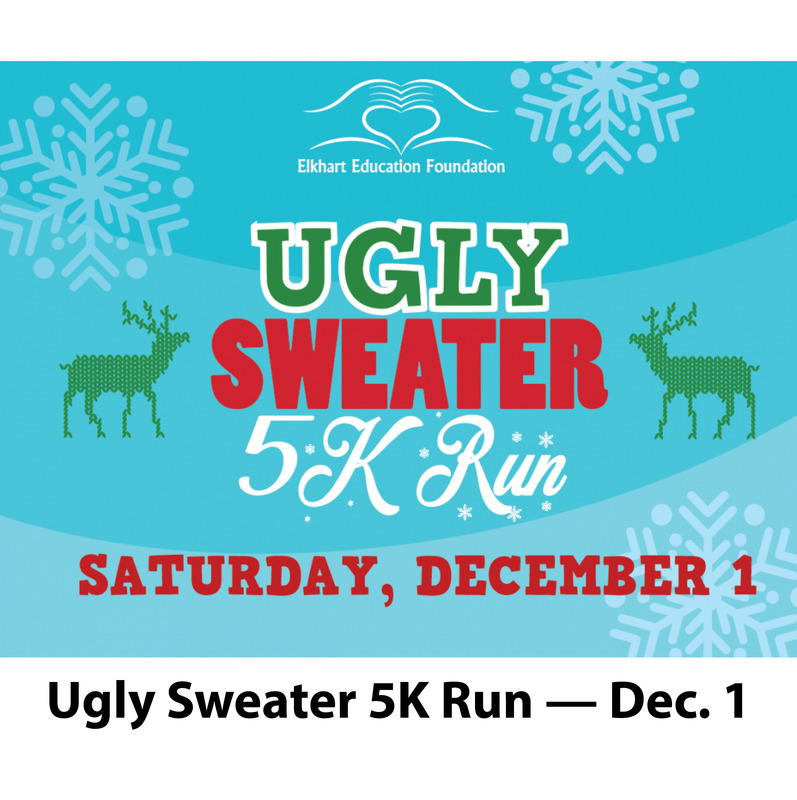 The Ugly Sweater Run is a family-friendly, holiday-themed event where dogs and reindeer are welcome. Dress to impress! There will be prizes for the ugliest holiday outfit along with fastest male & female in each division. Santa and Mrs. Clause will be available for photos and holiday wish lists along with hot cocoa and cookies at the finish line. Guests are encouraged to stay for ice-skating, the light parade and tree lighting for the annual Elkhart WinterFest that has new surprises this year. Enjoy a day celebrating the holiday season and supporting the Elkhart Education Foundation’s mission to support the hardworking teachers and deserving students of Elkhart Community Schools. “NIBCO is proud to be a part of the Elkhart Community. The Elkhart Education Foundation is helping our community and we are happy to support them and their mission. 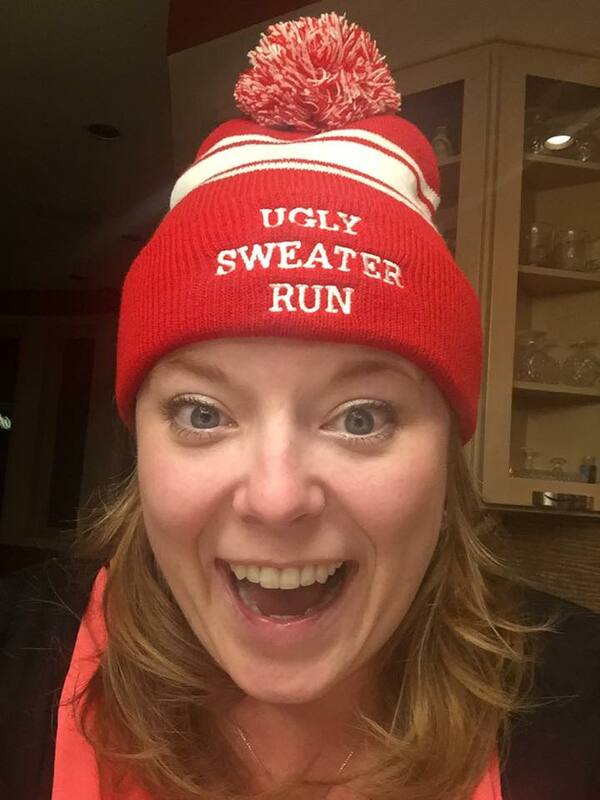 The 4th annual Ugly Sweater Run is a fun way for the community to come together,” said Ashley Martin Vice President of Sales for NIBCO INC.